THE head of National Australia Bank has publicly lamented a "difficult and shameful" year dominated by "appalling behaviour" uncovered at the banking royal commission. 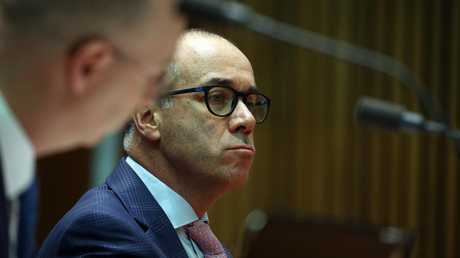 Andrew Thorburn regrets the fact customers have lost trust in the NAB because of the misconduct of its bankers. "That's the most terrible thing," he told a parliamentary committee in Canberra on Friday. "It's been a difficult and shameful year." Mr Thorburn said the misbehaviour of a few bankers has had a devastating impact on NAB's reputation. He conceded NAB did not have sufficient controls to fix issues when they arose, and had not compensated its customers fast enough. "We didn't intend to do what happened," he said. 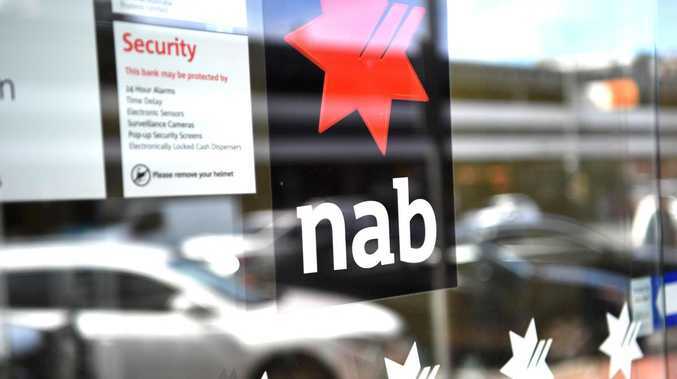 The committee heard 245,000 NAB customers have been overcharged fees. The bank will have paid out $130 million by the end of the year, with another $300 million to flow as soon as possible. Mr Thorburn is the final chief executive from the Big Four banks to be questioned by the committee this month. He acknowledged the NAB needed to rebuild trust. "The royal commission has exposed issues in our bank and the industry that have been confronting and upsetting," Mr Thorburn told the committee. "I feel this deeply, having worked in our profession for more than three decades. In so many cases, we have not had the care and respect for our customers that we should have. And for that, I am sorry." Mr Thorburn acknowledged banks had drifted away from customers as they pursued profits over people, and there was too much of a short-term focus. There had also been too much focus on bonuses and product sales, he said. Hundreds of bankers at the NAB have been sacked as a result of investigations into misconduct. There are 33,000 staff across the country. There are reductions to variable pay when NAB staff fail to adhere to the bank's code of conduct. More than 1200 NAB staff have been questioned about adherence to the code, with 700 facing a reduction in pay or other consequences. Some 300 NAB bankers have been sacked for breaching the rules. Mr Thorburn is confident no NAB bankers who left the bank before they were sacked were given "golden handshakes". "If they resign, they get what they are entitled to and no more," he told the committee. Commonwealth Bank's Matt Comyn and Westpac's Brian Hartzer fronted the committee last Thursday, while ANZ's Shayne Elliott appeared the day after. Is Musk’s latest Tesla boast too good to be true?